Apprentices and trainees complete a Certificate III as part of their apprenticeship or traineeship. AGA provides traditional Certificate III training for our employees and the general public. Become a host employer with AGA and we will organise all your training as well as taking the hassle out of employment. Contact us about hiring an apprentice or trainee. If you choose other employment options, you can still take advantage of our excellent training services. Contact AGA before you fill in your training contract. Are you employed by AGA? We will enrol you to complete your nationally accredited training. Are you employed by somebody else? 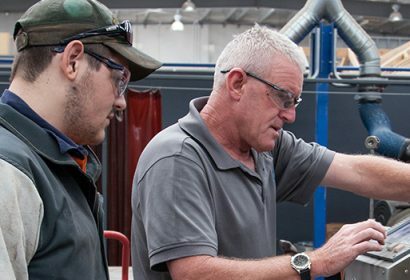 Select AGA as your preferred training provider when you complete the training contract sign-up with your Australian Apprenticeship Support Network (AASN) provider. You can start a school-based apprenticeship while still at school. Everyone is encouraged to apply, including individuals with disabilities. Are you interested in other training or courses?